MIIS alumna, Joyce Kling (MA TESOL ’88), was awarded one of eight doctoral dissertation grants awarded annually by The International Research Foundation for English Language Education (TIRF). Joyce is currently a PhD candidate at the University of Copenhagen writing her dissertation on “Teacher Cognition: English-medium instruction at LIFE [faculty of life sciences].” Her research project examines teaching behavior in English-medium instruction courses described by Danish professors of natural science. The project seeks to reveal underlying teacher cognitions about professional identity related to teaching through a foreign language in the multicultural, multilingual graduate classroom. On a personal note, Joyce is married to MIIS graduate Daniel Kim Soren (MBA ’92). Kim had come to MIIS from Denmark on a FUHU scholarship to study business, and Joyce was teaching a summer ESL course. They have two daughters, aged 9 and 11. This entry was posted in Language Education, TESOL, Uncategorized and tagged Alumna, Copenhagen, English, PhD, TESOL on October 17, 2012 by GSTILE. In order to participate in the forum, you must be registered. You can register online here. All proposals must be submitted online by 7:00PM EST (4:00PM PST), November 11, 2011. Proposals sent by physical mail/post will be disqualified. You will be notified by e-mail about the status of your submission by December 9, 2011. If you are interested in guidelines for submission, please visit the 2012 Graduate Student Forum guidelines here. Reminder: If you decided to go in March, MIIS offers conference funding. Find out more about conference funding here. This entry was posted in Events, Language Education, News, TESOL and tagged graduate student forum, TESOL, tesol convention on September 30, 2011 by Adam Garnica. Did you know that the TESOL International Association offers two awards that are specifically for graduate students? You are invited to apply! The recipient gets a stipend and free convention registration. The Marckwardt Travel Grants assist graduate students traveling to a TESOL convention. The grants include $500 and free convention registration. All TESOL members who are graduate students in TESOL/TFL programs worldwide are eligible to apply. 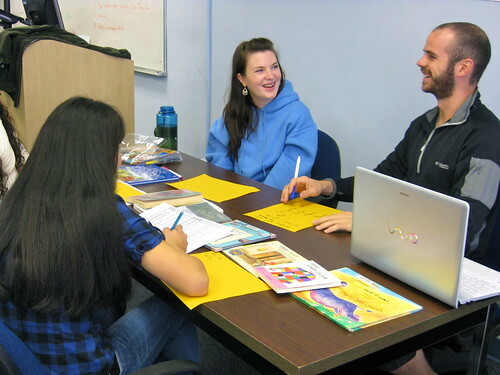 The Ruth Crymes Fellowship supports recent or current graduate students who are developing projects with direct application to ESOL language classroom instruction. The recipient receives $1,500 and free convention registration for a subsequent year, when the project is presented. All TESOL members who are or have been enrolled within the past year in a TESOL or TEFL graduate program that prepares teachers to teach ESOL are eligible to apply for this fellowship. For more information about eligibility and other TESOL awards, please go to the TESOL Awards and Grants Web page or contact awards@tesol.org. This entry was posted in Language Program Administration, TESOL and tagged award, conference, grant, research, TESOL on September 29, 2011 by GSTILE. GSTILE’s annual publication, Discourse & Repartee is now available online in PDF format for your viewing pleasure. This year’s issue marks the 30th Anniversary of the TESOL program and has a special reflection on the past 30 years of the program. Be sure to check it out for additional information about happenings and changes with the TESOL/TFL program, as well as alumni updates and other exciting tidbits! 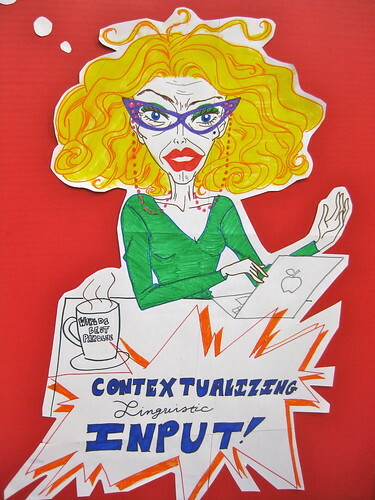 This entry was posted in Language Education, News and tagged anniversary, D&R, Discourse & Repartee, Discourse and Repartee, magazine, MATESOL, MATFL, publication, TESOL, TFL on May 6, 2011 by Tamara Wik. 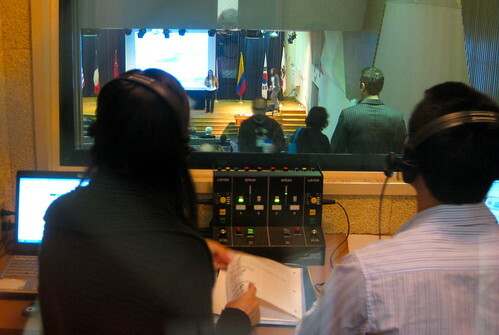 This entry was posted in Language Studies, TESOL Convention and tagged TESOL, tesol convention on May 5, 2011 by GSTILE. Spring Speaker Series starts off strong! Barbara Sawhill gave an engaging two-hour interactive talk last Friday to TESOL/TFL students on the importance of renouncing a “multi-paged, intricately detailed, iron-clad syllabus” and replacing it with a student-centered, participatory class outline with collaborated class goals between the students and teacher. Barbara teaches Spanish at Oberlin College and is the Director of the Cooper International Language Center. Barbara renounces the old Factory Model of Education, which in her opinion lacks a context for students’ learning. This “Fordist” classoom is out of touch with the world around it and sees students as empty vessels who simply absorb and memorize, rather than experience and create. As an educator, Barbara sees her job as “making this experience [in the classroom] as meaningful for you [the student] as possible”. She insists that as educators, we need to listen and model for students what we expect of them. As learners, we don’t need to simply find all of the answers, but learn how to create “really well-rounded, thoughtful questions”. Marciel Santos will be the next speaker this Spring, He will be talking on April 14 from 3-5 pm. Stay aware of fliers around campus for more information! This entry was posted in GSTILE lecture series, Language Education, Language Studies and tagged event, GSTILE, Language Education, lecture, MIIS, social media, TESOL, TESOL-TFL on March 14, 2011 by GSTILE. On November 19th, the Monterey Institute celebrated International Week with its very own International Day! Local high school students were invited to come on over and experience a trip around the world without having to step foot outside of Monterey. The students were exposed to foreign countries and cultures from some of the international students and learned about real opportunities to go abroad from students who had taken part in various programs overseas. In addition to learning about cultures, the TESOL/TFL students created mini language lessons and taught them to the high school students so that they could get exposure to a new language. Some of the languages taught included Spanish, French, Arabic, Chinese, Japanese, and Russian. In addition to teaching the high school students more about languages around the world, the TESOL/TFL students also had a chance to flex their lesson-planning muscles. All of their language lessons were adaptations of lessons originally planned for large groups of elementary school students when they taught at the International School of Monterey earlier in the semester. As a sign of their appreciation, one of the local high schools sent thank you notes from all of their students. 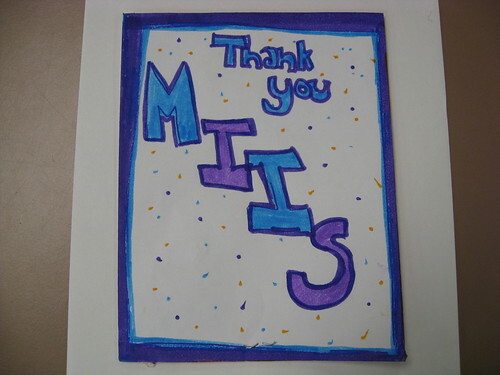 One student wrote, “MIIS – It was extremely fun learning the different languages. Totally fun day! I can’t wait to go next year.” Now that’s teacher motivation! We’re looking forward to next year’s International Day. 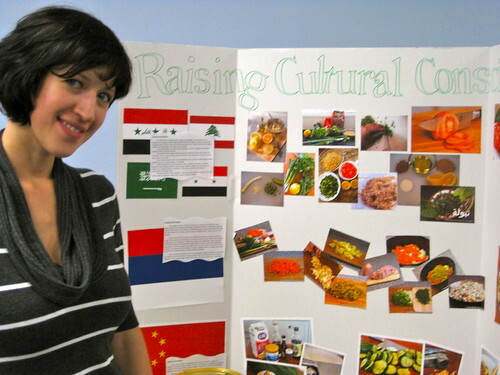 This entry was posted in Events, Language Education and tagged international education day, international education week, TESOL, TFL on January 17, 2011 by Tamara Wik. In December, the Principles and Practices in Language Education classes came together and showcased some of their knowledge on educational macrostrategies that they had been studying over the semester. The Kumar Trade Fair (named after B. Kumaravadivelu) has become a tradition for the TESOL/TFL students and represents a chance for the students to talk to people outside of the language education department about different teaching approaches. For the Trade Fair, a small team of students designed and demonstrated a series of tasks that students could do as part of a language lesson. Some of the tasks included tasting salads to learn about different food cultures, thinking about dream jobs, and learning about cultural differences through watching a Saturday Night Live skit. After the Trade Fair, the students gathered and discussed what they had learned from the Trade Fair, and most students agreed that it was interesting to see how a single macrostrategy could be represented in so many different ways. A member from another department mentioned that she had always considered her own department to be the one that tried to “save the world”, but she was pleased and surprised to see that the language education students were also creating activities which worked toward the same goal. 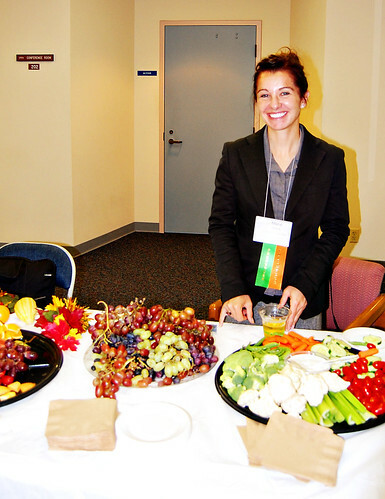 This entry was posted in Events, Language Education and tagged event, Language Education, TESOL, TFL on January 10, 2011 by Tamara Wik. On November 13, 2010 the Monterey Institute hosted the Northern Regional CATESOL conference with nearly 400 people in attendance. This conference involved a tremendous amount of work and contributions from the student body at MIIS, from arriving in the early morning to prepare breakfast, to translating speeches and presenting, and to even co-chairing the conference. You can reference the Northern CATESOL 2010 website for resources created by student presenters and further information about their topics. The conference included student presentations by Emily Quade, Rod Hinn, Greta Shoop, James Atcheson, Marie Wojcik, Tam Roman, Xueting Wang, Kristina Swamy and Chad Miles, PJ Standlee and Mark Garnett, and PJ Standlee again with Wing Cheung. Several alumni also presented at the conference, including a feature speaker, Maricel Santos. Professor Kathi Bailey took part in a panel presentation with several current students, and Professor John Hedgcock led a workshop on teaching writing. 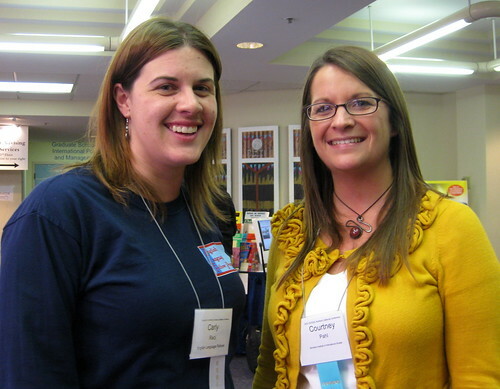 For more photos and information about the conference, be sure to take a look at the CATESOL North 2010 site! This entry was posted in Events and tagged CATESOL, conference, Northern Regional CATESOL 2010, TESOL on December 1, 2010 by Tamara Wik. MIIS TESOL students are invited and encouraged to apply for this year’s CATESOL State Graduate Student Forum taking place at the CATESOL state conference on April 7–11 2011 in Long Beach, CA. The forum seeks papers which focus on existing or developing ESOL classroom practices or investigate research topics with implications for ESOL teaching and theory. Each student can submit only one proposal for the Forum. Up to three co-authors are allowed per proposal. The proposal submission deadline is Friday, December 4, 2010. The Graduate Forum’s organizing committee will blindly review all proposals. Notification follows by January 8, 2011. Each presentation is 15 minutes with a five-minute Q & A. They will take place on Friday the 8th and Saturday the 9th of the conference and will be identified in the program booklet. Please note, all presenters must register for the conference. This is a great experience and professional development opportunity for MATESOL students. Submission guidelines can be found on the CATESOL website. If you have any questions, comments, or concerns, please contact Christina Lorimer at studentrep [at] catesol [dot] org. For more information (including selection criteria) about the Graduate Student Forum, please see the CATESOL website. This entry was posted in Events and tagged apply, CATESOL 2011, graduate student forum, MIIS, proposals, submission, TESOL on October 27, 2010 by GSTILE.